Today, every power meter company in the industry just breathed a huge collective sigh of relief: Shimano did not ultimately decide to baseline their long rumored integrated power meter as part of the Dura-Ace standard offering. Instead, they made it optional at an (unknown) higher price point. But that doesn’t mean these companies can rest on their laurels – far from it. However, let’s not get too far ahead of ourselves on today’s announcements. After all, there’s plenty of interesting news within today’s Shimano announcements. These announcements centered on the new Dura-Ace R9100 platform. It’s been three years since the last Dura-Ace product range, the R9000 (and 7 years since Di2’s introduction in the 7900 platform). Shimano noted the stability of these release cycle timeframes. The R9100 platform is vast – it covers everything from shifting to brake systems, drivetrains to wheels, and pedals to power meters. 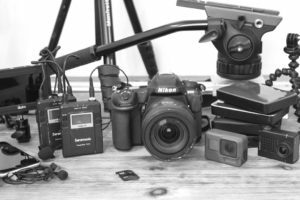 I’m going to largely focus on pieces that are electronic (gadgety) in nature, but will include notables on other components as it makes sense. Remember that Shimano basically categorizes their group sets into three chunks: Dura-Ace (highest), Ultegra (mid-range), and 105 (low-end). All of today’s announcements purely focus on the Dura-Ace range. There were no announcements related to the other two product ranges. Now at the base level, there are really two specific naming conventions here to be mindful of: The R9100 and the R9100-P. The difference? The R9100-P has a power meter integrated, with the ‘P’ standing for power meter (not Pokémon or Pickles). Because my blog is largely focused on the gadget side of the house, I’m going to mostly ignore the new wheels/brakes/shifters, and instead focus on the power meter and Di2 side of things. So how is the FC-R9100-P different? Well, in many ways it’s not much different from what’s on the market. The only true difference is that Shimano’s making an integrated purchasing option. Which is basically what SRAM does with their Quarq lineup, except that Shimano merely makes it a single letter difference when purchasing R9100 vs R9100-P. The rechargeable battery choice will be rather interesting. While there are upcoming entrants into the market with a rechargeable option (i.e. WatTeam), all other companies are using some variant of coin cell batteries. Even SRM toyed with the idea of a rechargeable unit for the past few years (going as far as formally announcing it), but ultimately decided to defer the project and re-focus efforts elsewhere. In Shimano’s case, the battery is wired between the left and right side, using a battery pod located within the spindle. That same wiring also provides communication between the two sides of the unit. The side of the power meter includes a small status LED for validating enablement, battery and calibration status, as well as a button that can be used to both turn on the system as well as calibrate it. Just like Di2 the battery states are indicated by the colors of the LED (i.e. solid green is greater than 50%). Shimano recommends calibrating the unit prior to every ride, to account for environmental changes (pressure/temperature). To do so you’ve got two options: You can either hold the button on the side of the unit until it flashes blue, which will trigger calibration when in a neutral position. Alternatively, after powering on if you’ve got a head unit capable of sending a calibration command (that’s basically all of them), you can do that as well. When asked whether they developed their own power meter tech, or licensed it from another player in the industry they confirmed it’s their own technology. They noted it’s the same technology used in their bike fitting platform. They would not disclose how many strain gauges are used in the R9100-P, nor the arrangement of those gauges. Next you’ll remember that the unit does include Bluetooth Smart capabilities, but only for firmware updates. The company says that they are considering adding in Bluetooth Smart power broadcasting down the road – but there’s no firm plans for doing that. If they did so, they noted it would be via firmware update, as the hardware does support it. Now the integrated power meter presents a bit of an interesting dynamic for some pro teams – most notably Team Sky, which has an existing power meter partnership with Stages Power. However, in discussions with Shimano – despite working with Team Sky, FDJ, and Team Lotto-NL Jumbo, only FDJ plans to use the integrated power meter option. They’ve been doing so since earlier this year, and plan to continue through the Tour de France. Note however that at this time Shimano doesn’t have any R9100-P units per se. Instead, they’ve been doing all testing on older 9000 series crank-arms with pods attached to them. All R9100-P’s that you see are merely plastic mock-ups without functional components inside them. There’s a bunch of pretty cool things coming down the (e-)tube on the Di2 side. This includes both software and hardware. On the hardware side, shifters have been refreshed across the board, with improvements for both ergonomics, but also a focus on how to pull in hydraulic brake components going forward. 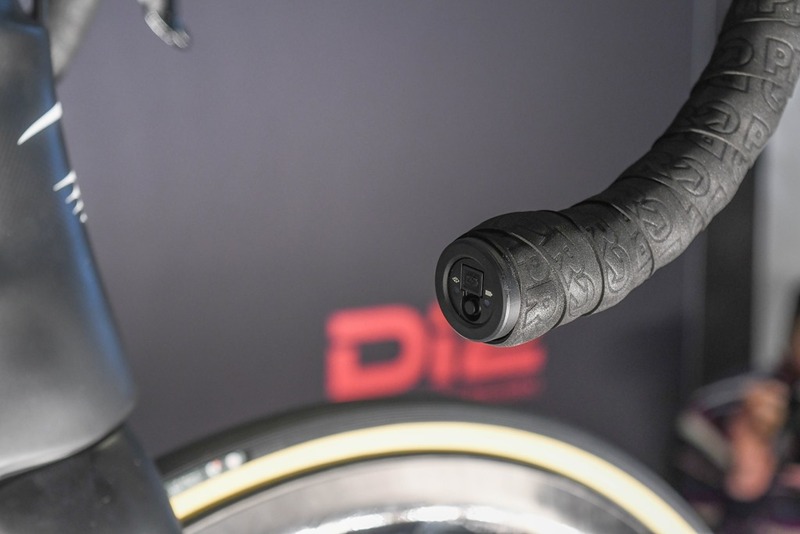 In addition, TT & triathlon folk get improved shifters designed as a single button to install upon the tip of the aerobars (ST-R9160/9180), which are compatible with the new Synchro Shift system. Finally, there’s the new SW-R9150 programmable satellite shifter. Then there’s some new battery and battery mounts, plus new junction ports. 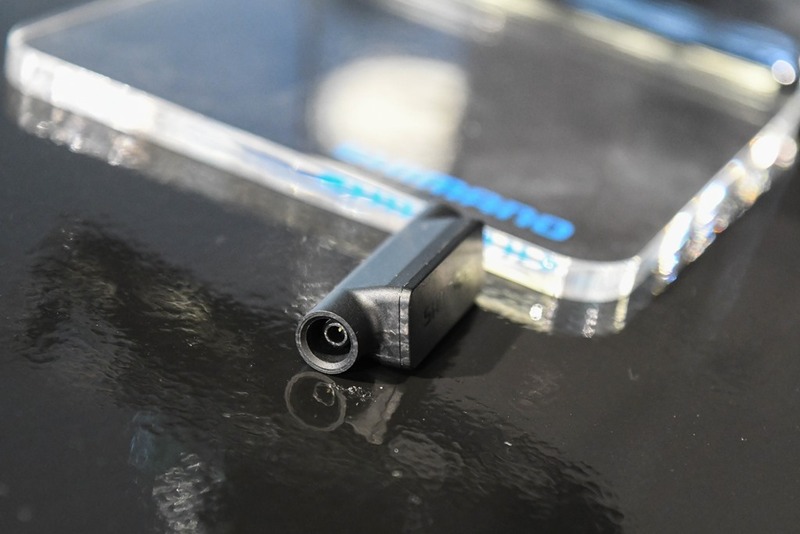 But in particular, there’s two tiny new Di2 pieces that are actually pretty cool: The EW-RS910 and the EW-WU111. The first, the EW-RS910 (seen above in photo) allows you to move the junction port into the handlebar end, basically fully concealing that better. Meanwhile, the EW-WU111 is the Shimano private-ANT broadcasting connector for transmitting gearing and battery status information (to various head units like Garmin, Wahoo, and others). This replaces the previous SM-EWW01. However, with the new EW-WU111 you get one really important addition: Bluetooth Smart connectivity. Now you’ll be able to configure your Di2 system using a tablet or smartphone. Previously that required a desktop computer and additional hardware to connect your computer to the system. Now it’s all wireless. This will enable both firmware updates as well as configuration. However, with existing Di2 systems you’ll need to upgrade your battery, as the new EW-WU111 pulls from that battery instead. Still, I definitely look forward to upgrading mine. This connectivity starts to lead into changes the company is making by rolling out their previous mountain bike synchronized shifting onto the road platform. This enabled you to shift up/down the range of gears and ignore whether it was a front or back shift. Instead, you just shifted to make it easier or harder, and it logically changed whichever derailleur (front or back) was most applicable to make that happen. With the triathlon/TT setup, you can now use a single button per shifter configuration too. – Semi-Sync Shifting: In this case if you shift the front derailleur up/down, it’ll shift correspondingly the rear derailleur by 1-2 gears, which minimizes the impact of the front rings shifting. Effectively making it less painful of a jump. Both of these will be available for iOS/Android platforms. As for pricing, that’s also extremely messy as it depends on the exact components that you’re looking at. Plus which currency. And some components haven’t had prices released yet either (like the power meter variant or the standalone wireless transmitter). All in all, it’s a reasonably solid – albeit not unexpected – launch. Almost everything disclosed today has been rumored for some time. However, details around whether or not the power meter would be considered baseline – as well as upgrades to Di2 were unknowns. The real question remains the power meter pricing. The way pricing with Shimano works means that it might take a bit of time for that to filter out, on a per country basis. 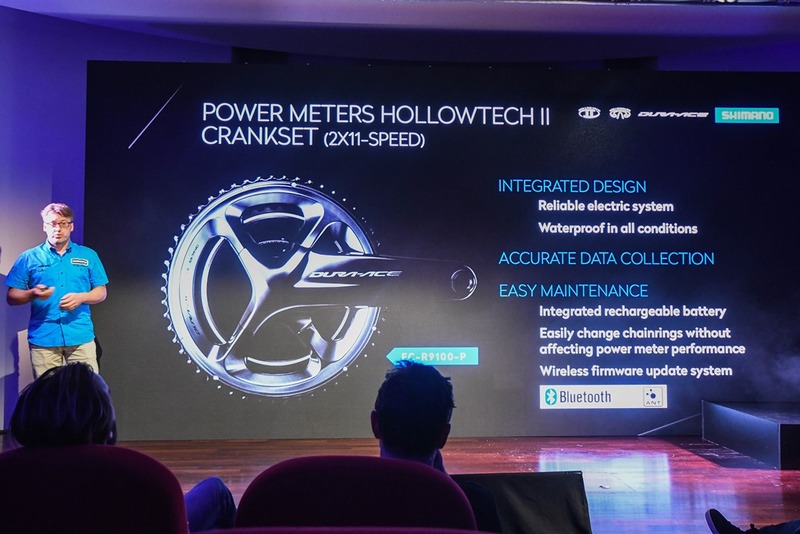 Still, one must understand that right now other power meter manufacturer dual left/right systems based on Shimano crank arms are going from $749USD (4iiii Dual, confirmed today to start shipping in July). And that unit supports dual ANT+/Bluetooth Smart broadcasting (unlike the Shimano power meter). Plus there’s other options that are more portable for a few hundred dollars more, and all of those options have been validated as accurate and are available now (versus unknown accuracy and next spring). Not to mention all the impending companies at lower price points (that like Shimano, have yet to be validated). Thus I’d put the over/under in the sand at about $750 for Shimano’s price difference between power and non-power versions. Obviously, there’s the convenience factor of having it built-in, but realistically that’s overrated since for most people a bike shop is installing everything anyway. Nonetheless – once Shimano gets to the point of allowing 3rd parties to test accuracy of the unit, then I’ll certainly be there to give you the data. As no bikes were equipped with the power meter today, my rental car full of power meter testing devices went unused today. My cycling shoes did not though. To me the cooler news is the better connectivity for configuring Di2 via Bluetooth Smart. Again though, keep in mind this doesn’t mean the whole system is wireless when out on the road – it still very much relies on wires for operation while riding. It’s just configuration that’s wireless. But, I do very much appreciate it’ll be backwards compatible – that’s great. Plus, the extended options for the junction box and different shifter options are also solid. With that – thanks for reading – and feel free to drop any questions below. Hi Ray just wondering do Shimano have any plans to offer an integrated power meter with their existing 9000 crankset? Existing Dura-Ace seems to work fine with an Ultegra 11-32 cassette. I did see a note about them supporting a 30 cassette, but any ideas on the likelihood of an 11-32 working? “My cycling shoes did not though.” Embedded URL needs to get adjusted. Great review. Was there any mention of existing Di2 owners getting the synchronised shifting? 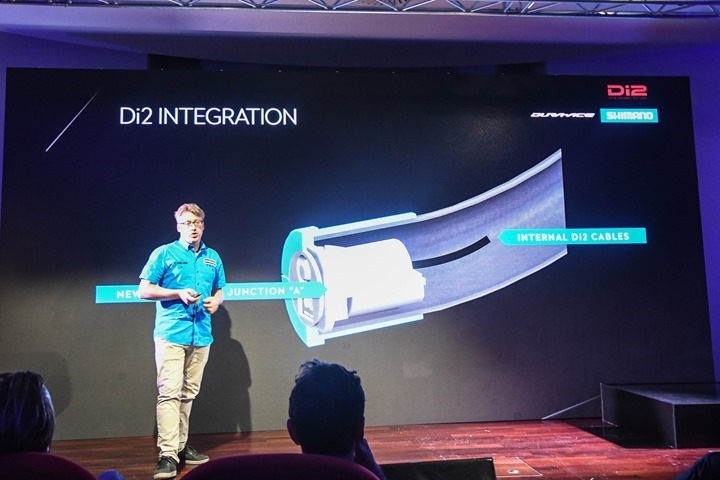 The shimano announcement said existing 11 speed di2 users will get the synchro shift improvements as well. But you will have to get the new internal battery and the new wireless module. With the addition of a new 9100 series battery and a firmware change, 9070 and 6870 can be syncro shift enabled. Look out for GCN’s chat with Tim Gerrits and Dave Lawrence of Shimano for a lot more details. You’ll find it on their FB page. Thanks for the answers guys?? I just want to interpret this correctly, my current Ultegra 6870 Di2 with internal seatpost battery, I’ll need to purchase a new internal seatpost battery which Shimano will be releasing or upgrade the software for my Di2 system for the new wireless unit to work? 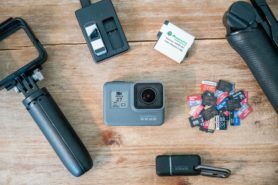 Since you didn’t mention a new battery anywhere else in the overview, I was confused regarding a new internal seatpost battery also being among the things listed as new products. Man o man that crankset’s fugly as hell…. You will need the new seat post battery (bt-dn110) and you will need the inline wireless unit (ew-wu101) which is the little inline transmitter that plugs into the new battery. This combo will give you ant+ and BT to your garmin head unit or whatever other headunit you use. You will get battery levels, gear info, and the ability to setup syncro shift. 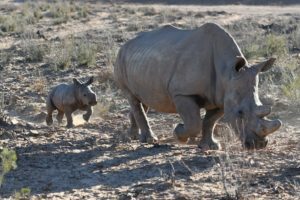 Ray has ew-wu11 listed, and I don’t know what wu(11) is? I think it’s just a typo. Shimano has ew-wu101 and ew-wu111 listed on their site. Not sure there is just a 11. Sorry, 11 was a typo, should indeed be 111. Do note though that it will *NOT* give you BT to your head unit (nor technically even ANT+). 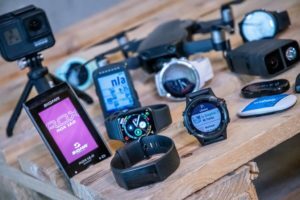 It will only give Shimano private-ANT (which everyone supports), but will not transmit gear information over Bluetooth Smart data to 3rd apps/devices, rather, only over private-ANT. I “think” it does give you BT ability but not to your head unit. Only to their iphone/android app for the easier tweeks you’d normally use etubes for.. I don’t think phones have the ability to use private ant protocols native. It’s all in the battery upgrade. Right, it’s only configuration for BT, but not any standard transmission of data mid-ride. Phones can use private-ANT (mostly Android), if a company were to simply create an app for it. But all of that requires the new adapter (plus the subsequent battery update). DC, do you know what the difference is between the EW-WU101 and the EW-WU111 at all please? Can’t find out anywhere…! 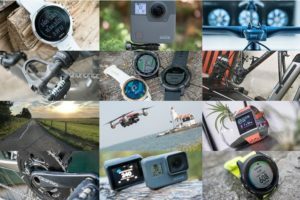 Updated Jan-2017 at link to productinfo.shimano.com. Looks like the same spec now for both devices. The availability timeline is going to kill bike sales with existing Dura Ace Di2. Or hammer the price. 2017? Seriously? Why announce now with no availability till early next year? Besides riders are going to be riding it at the tour de france which starts in a few days? I don’t even think riders will be using it at the Tour. It sounded like there are hardly any full prototype groupsets currently. It’s just good timing. And mechanical Dura-Ace R9100 is going to be available around Autumn time they said. Just FDJ, and even then, just the prototype power meter (built on the 9000 series) on a few riders. They probably need to put a plug in their market share losses to the hyped Sram eTap and Rotor Hydro. Nice first impressions! Thanks Ray! So you obviously took the new groupset for a spin. So how does the new front derailleur shift compared to the “old” one? Are these new Di2 components also compatible with Ultegra Di2? Ray, just wondering why a battery upgrade is required to run the new EW-WU11? It seems to state for new or existing systems and sits “Inline” thus surely using current e-tube configuration? Am I missing something? Since the battery contains some central brains for the system, I assume a new battery is required to support the additional synchro shift functionality. Apparently the circuit board/storage capacity in the current battery isn’t sufficiently large enough to accommodate what’s needed to allow the new functionality. Any idea what the third one is used for Ray? Yeah, it sounds like some minor confusion there. Typically strain gauges are placed in an array of some sort (multiples per spot). So, basically, they’re saying there’s strain gauges (duh), what’s moderately more interesting from a pure curiosity standpoint is how many and to some extend what type (which tells us how they might reactive to changing conditions). Said differently: I don’t think the reps know and were just guessing. Did they mention anything about auto-zero as you ride (Like the Power2Max has)? I’m assuming it has full temperature compensation as you ride, and not on the pre-ride calibration? So it’s funny, I meant to include that, but then got semi-odd answers. So I’m circling back for triple-clarification. However, at present it doesn’t sound like it has temperature compensation (which is obviously very odd). But, at the same time – the persons I chatted with only seemed about 85% sure (though they said they were 100% sure). Just a gut feeling on sureness percentage. Hence the circling I’m doing. That is very odd, and makes it a bit of deal breaker frankly. I would find it very strange (and a massive omission) if it doesn’t have full temperature compensation (especially given that Power2Max does). Does this mean you will finally be testing the SRM for us so we can compare it against the new shimano? Pleeeease test the SRM finally. We can sign a petition to get you one. BTW, love your site, just about the 1st or 2nd site I visit each day and by far the best run down on things like the new Dura Ace from the whole internet. Congrats on full time. It would be an impossibility to test an SRM and Shimano units concurrently, as they conflict with each other from a placement/mechanical standpoint. I’m not very familiar with the Shimano product lifecycle. So, can we now expect a new Ultegra series soon? European pricing is a mess, but I’m hoping to get some clarity soon. Wow thanks! That has a lot of info neatly presented. Hopefully the “street” price will be less, even though the stuff will be brand new. I look forward to keeping up with this article. Ray, Did you happen to hear anything about upgrades to XTR Di2 (for MTB)?? Curious if the new wireless gismo works for XTR. Also, I have been wishing for a semi-synchro shift for a while for XTR. But not the way they implemented it on road, though. Instead I’d hope they would make it so you can run it in S1/S2 mode and once you get the beep/announce of upcoming FD shift, you would be able to either half or fully press (XTR firebolt has two steps) the front shifter. Halfway to just get the FD shift overwith, and fully to shift the FD AND shift RD 2-3 gears to eliminate the big jump. Would also be nice if they made it, so you could change mode, to an emergency mode, where the RD was moved to the left shifter. This would be in case of a crash or something that makes the right shifter inop. I have had to exit two race in 6 month, because the right shifter got stuck down. Amazing, they put a MTB shifter you can bend with your thumb, to market… Sorry. Got off topic….. Yes you can get this wireless gizmo for your xtr di2 group. You will need to buy the new battery and the inline wireless gizmo. This will allow you to use private ant protocol that most head units support such as garmin. what this means? I’ll have to buy another batery or update the software only? You need to buy another battery. The reasons are a bit…fuzzy (and I asked like 4 people to explain it), but them be the reasons. The theory being that somehow the new inline pod requires slightly different juice compared to the previous pod. It’s on my list to have them track down a slightly more detailed technical answer. Would they offer both external and internal new battery options? Prototypes of this tech was shown long ago from a 3rd part dev. and while I think it’s probably ready to go I think it will be awhile before you see it. Maybe even be phased in over the release cycles sort of like slowly getting into cold water. The interwebs will explode when it’s finally released an order of magnitude greater then disc breaks on road bikes! The new direct mount RD…do you need a specific frame with direct mount capability, or does this replace the removable RD hanger on most bikes? How close are we to having a fully automatic bike with this system? Set the power and the bike does the rest (except pedal of course). Really excited to see that some of the Di2 advancements are available to 6870 owners! What I want to see is when they come out with Dura-Ace motors. If the pros have them, why can’t we? Huge opportunity! Did you get to take it home Ray? Ray, do you know if it’s possible to add the powermeter afterwards? The cyclingtips article suggests that this will not be able to be fitted after sale, you will only be able to buy a PM model, or a normal model. Well, you need not have to buy the entire groupset again, but yeah, the crankset itself would be either PM or not. The power meter is in the crankset. As far as I understood it, you would just have to buy a new crankset. I’m excited about the prospect of finally obtaining an 11-30 cassette option for Shimano, hopefully priced lower than the SRAM option, and perhaps even compatible with an Ultegra 6870 SS derailleur. Maybe even make the separate cogs available for purchase aftermarket, as I’ve already got all combinations necessary to make a variety of cassettes from 11-32, through to 14-28, all I need is that last few bits with 30 and I’m set to find my perfect cogset. Any pricing on the cassette? Any news about the wheels? 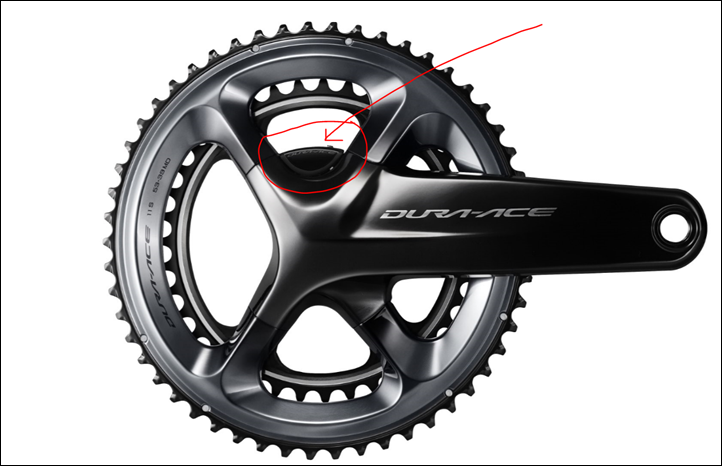 In reference to the DI2 brifters, wasn’t there supposed to be additional future capability with a concealed button at the top of each unit? Ray: Was there any rationale given for why they didn’t follow through and offer wireless functionality integrated into the new Front junctions? Seems like a missed opportunity, and something they had originally promised in the previous 9070 system. other news sources are reporting the power data will be readable from mobile apps with btle. I’m a little confused, will it read power data with blte or not? It will not. They are simply confused (or the Shimano reps talking to them are). In talking with one of the engineers, they do have a full BT4.0 stack in there (hardware), so in theory down the road they can enable BLE broadcasting of power/cadence. But out of the get-go they won’t have that enabled. Meaning, I think the soonest we’d see something like that would be summer/fall of 2017. 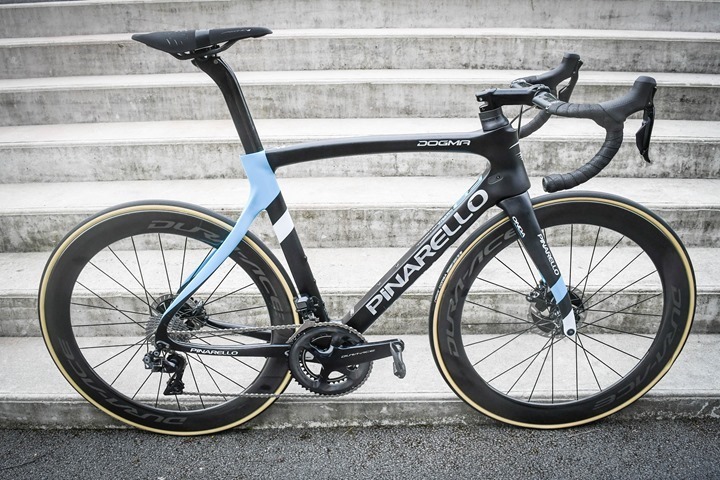 Do you have any more info on the colour way of that Pinarello F8? It looks like the Sky scheme but nicer blue and matt finish. I understand the new wireless module EW-WU111 requires a new battery. What if I want synchro-shift and I don’t mind using my laptop for the firmware update? Is Shimano forcing the existing 9070 owners to buy the EW-WU111 and a new battery just so we could have synchro-shift? I don’t really need or want the gear and battery status info. on my Garmin GPS. The battery holds the firmware and is required for Synchro Shift. The wireless broadcast model is only required if you want update via Bluetooth as far as I understood it. Thanks. Somehow I got the impression that EW-WU111 is required to run sychro-shift, and a new battery is also required for EW-WU111. It makes more sense if the ‘brain’ of Di2 is contained within the battery and hence only a new battery is needed. But I truly wonder why the existing battery can’t handle the new firmware. I really believe Shimano rigged the firmware such that they could sell more new batteries. Agreed. Seems silly and annoying. Do we know if i can put the new battery to get syncro on my 6870 kit? Any info from Shimano if the new DA/Di2/HYD-shifters will have the programmable hidden button which today’s DA/Di2/MEC-shifters have? Thank you for your great reports! I am in the process of selecting components for a new bike and am not in a big hurry. I currently use Dura Ace 9000 mechanical and am very happy with it. I see that some online stores are already offering 9000 groupsets for as low as US$1495. As I see it, here are the only differences with the new mechanical the are: 1. Ability to accommodate a 30 cog rear cassette 2. Ability to accommodate 28mm tires with rim brakes 3. front derailleur redesign supposedly works better with 28mm tires and shorter lever throw required with same “feel” as rear derailleur. 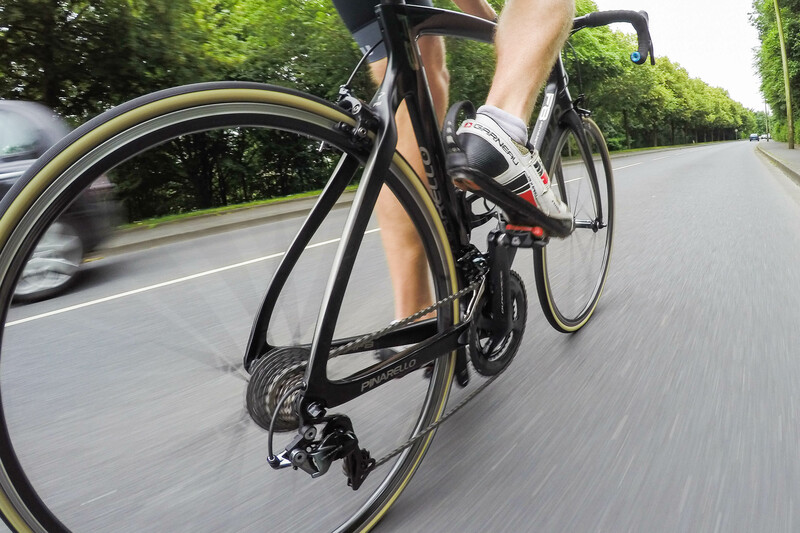 It seems the biggest changes are in the electronic and disc brake versions. Glory Cycles has posted the new DA9100 groupset prices and is asking $2,029 for mechanical. I think I’ll buy 9000 at the clearance prices that are soon to appear. Do you have any pics of the remote satellite shifter (SW-R9150)? No pics seem to exist and I was wondering if it is as bulky as the old one. Also is the EW-RS910 bar end A juncture thingy compatible with 6870 and did they mention how many ports it has? Concerning the new junctio box (EW-RS910), do you have any ideia if it will be offered in 3 or 5 cable version ? “Then there’s some new battery and battery mounts, plus new junction ports.” any more info on this? I am curious what will be possible as far as charging port locations. I don’t really like the idea of the bar end since this don’t really do well if you go down. Ray, do you see this technology (mainly the integrated power meter) making its way down to the ultegra line in the near future? or do you think they will reserve it only for the top end dura-ace line? normally ultegra re-vamps tend to follow right behind dura-ace yes? I think so eventually, but I suspect that given Shimano isn’t talking till next spring for Dura Ace, that it’s far away. *1 SC-M9050, SC-M9051 or SC-MT800 is required for synchronized shift. *2 Synchronized shift is available only in MTB category. That’s with EW-WU101. No specs on EW-WU111 anywhere on the site. The E-TUBE PROJECT iPad edition is now out, so supposedly EW-WU101 is enough for the set-up connection. Given the compatibility updates posted above, it appears that syncro shifting for 9070 may not be possible with the new battery, unless the new wireless unit (EW-WU111 and not the EW-WU101) is also necessary or an upcoming firmware upgrade does it? Has anyone tried the new battery with the old D-fly unit (SM-EWW01). I don’t care as much about the wireless e-tube connection as I do about the syncro shift capability on 9070, although both would be nice. The EW-WU111, mentioned by Ray above, is smaller, for internal use. Doesn’t seem to be available yet. The new internal battery is also available now, has anyone updated either or both yet and done some testing? Hate the way Shimano is not saying what is really needed for road/TT sync shifting. Do I get it (with a later firmware upgrade) on my 11-speed Ultegra Di2 system by installing the new internal battery and a EW-WU101 or a EW-WU111? Or not? I have just had the EW-WU101 and the BT-DN110 battery arrive today so will you all know. Clarified in a tweet from Shimano. Even if you have the new BT-DN110 battery now, a future firmware update will be required for DA 9070 or Ultegra 6870. Not specified when that will happen. Should not need the EW-WU101 for synchro it seems. in pairing my iPad with the WU101. The app quits when I’m asked to reset the password on the BLE pairing. I’m not sure what firmware I’m running on my existing Dura Ace-setup. To answer my own question, it’s available on Amazon and didn’t even have the big US markup we seem to see on almost all other Shimano items! Got one for $129 shipped! Is The EW-RS910 bar end A juncture thingy compatible with 6870 and will the new battery be needed also? It is a good thing to Shimano finally entering this market. 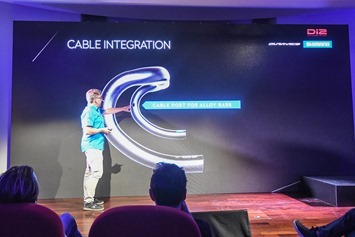 INTEGRATION is the key and if large companies like Shimano, SRM and even Campagnolo are building full integrated system it will make our life easier. 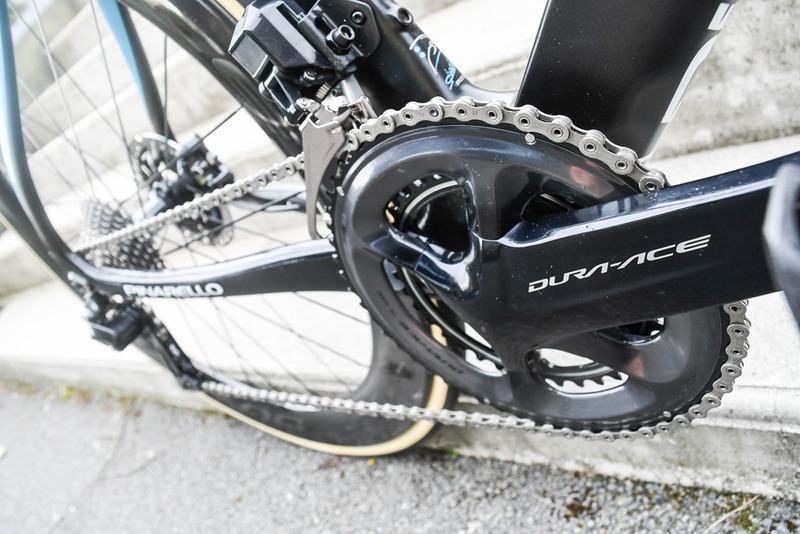 Shimano system have been tested by the FDJ team for a long time. Fred Grappe is a very respected within the Peloton ( Sky gave him all Froome parameter to analyse). So I am sure that quality and accuracy will be part of the package. Price will be key for me knowing that I have plenty of choice in power meter for more less equivalent results. The good news is that SRM are now going to be marginalised given the ridiculous price they have been charging us…They lost huge market share in the Pro-tour, I don’t see how it could be different for non-pro, mass market like us. “Market in the Pro-Tour” is not really “market”, it’s marketing dollars. In the beginning SRM was the only game in town so pro teams used it regardless of sponsoring agreements; but now that there are a lot of competitive products out there, it’s all about who provides what and pays how much, not about which product is better… A Garmin-sponsored team is not going to use SRM. That’s not completely untrue. 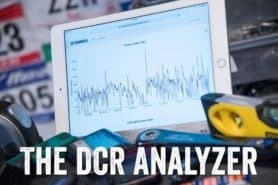 Power meter alternative have been in the market for years , the only reason they were using SRM it was accuracy of the system regardless the weather conditions, 10 to 15 watts make A Massive Difference for Pro riders, so they need what provide the best information, the need the best full stop. Regarding the sponsorship that’s a total nonsense. Pro team have sponsorship agreements true but more than often they used unmarked material coming from other brands ( wheels, tires, power meter). I have a Stages Ultegra 6800 Powermeter. Does it fit on a Dura Ace 9100 crank? If I buy the Dura Ace 9100 crankset when its available – can the power meter be added to it afterwards when it is available? I cannot find an answer to this anywhere but will the new 9170R Di2 hydro levers work with non-series calipers? If they only work with flat mount designs then there will be lots of disc brake bikes that cannot take this upgrade. For a brand new Top Group like DuraAce is an accuracy of 2% just not acceptable. 1% is 100% more accurate than 2%. 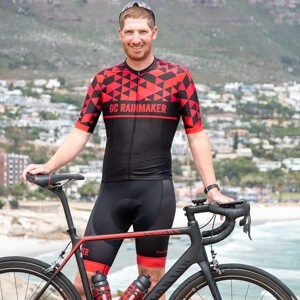 Having tested enough power meters, I would argue that if a company can actually get +/-2% 100% of the time, that’s probably better than someone who cam claim +/-1%…but only in certain conditions. It can also be, that exactly this company, claiming 2%, can hold the 2% only unser certain conditions. Spyder-Powermeters accuracies in todays time should be anyway better than 2%, especially if its a huge and fantastic company like Simano, no pardon, no excuse. My point is that many PM’s claiming +/-2% or better can’t even hit that today. SRM certainly can’t hit +/- 1% in outdoor conditions. The easiest way to demonstrate that is take your bike outside and immediately start your SRM-equipped ride up a mountain. Ride for an hour. Watch as SRM fails to track the plot accurately in temperature shifts without stopping/zeroing. It’s well known within the industry. There goes +/-1%. You might be right with the SRM Temp-Probs, but anyway, the test for any PM-Accuracy takes place inside and not on a hill. That’s why I think, any crank-powermeter today should be below +/-2% because none of these pm-companies test their pm under “bad” conditions. Any PM can pass a test inside (well, except LIMITS). If you only want to ride your bike inside, then a trainer is a better power meter. But since most people ride outside, ensuring accuracy in normal conditions like changing weather, rain, and rougher roads/bumps is important. Great review, thanks for all your do. I just installed the new Bluetooth battery and D-Fly module (EW-WU101 and BT-101 or something like that) on my Dura Ace 9070 Groupset. Connected via my iPad and it all works great. Updated the firmware, etc. I was able to switch the long-press shift option to a 3-gear shift (instead of unlimited), all quite easily. My question is do you know when Shimano is going to release the app/software with synchro shift support for the road groupsets (without using the MTB-based display unit to switch various shift modes)? I upgraded my hardware mainly to add this capability, and it’s not available on the ipad app yet. Also, AFAIK, there’s no iphone app, either for this system. Any word on release of these new features? Shimano tweeted that a future firmware release will be necessary to enable the synchro shift for road, but they haven’t said when. This is why I have waited to pull the trigger, because like you, the synchro feature is more important to me than the iPad connectivity. Waiting… waiting… they certainly know how to drag it out! I was about to buy the battery upgrade and EW-WU101 in order to gain syncro, fortunately I discovered this thread beforehand. I’ll just have to hang on until it’s released. There’s also a video out showing the 9100 Di2 complete with iPhone app. Does anyone know if this exists yet? Synced shifting wasn’t released in November then. “We want to have it perfect before releasing”, they said a month ago on Twitter. Well, ok. I ordered a WU101 and the new battery, at least I get to do configuration changes and fw updates with my iPad, which is nice. The windows E-tube sw was terrible anyway, glad to be able to avoid. Do you have any upgrade for the Duraace R9100P launch date?! Could you checkout when and how much it would cost? I suspect we won’t hear till early next year. 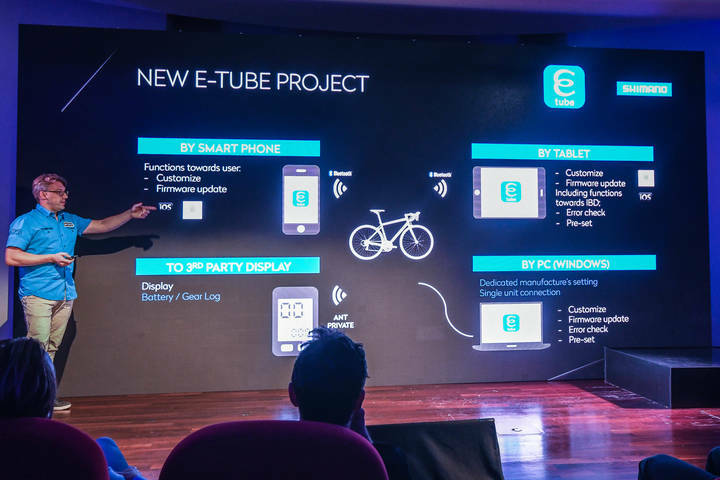 Shimano released a new verison of the e-tube Windows app today (v3.2) which states support for Road Bike synchronized shift. That’s the good news. No I-pad app (yet). I downloaded the Windows version, and connected in to my 9070 droup DI2 setup. I had previously upgraded the battery and wireless module in anticipation of synchronized shift. e-tube updated firmware on the battery, wireless, and master junction box. That went fine, but when you go into the customize menu and then click the button to activate synchronized shift, you get an error that the FD and RD firmware is out-of-date. Both of these are on firmware 2.3.x. Clicking “update firmware” returns a message that all components are on the latest firmware. So, we’re not quite there yet. Looks like Shimano has a few more bits of firmware to release before we can activate this on the 9070 group. I’ll keep this thread posted if this changes. Yup. Exactly the same happened with me. I tried exactly the same thing here tonight but with the 6870 groupset. I assume you were talking about the setting ‘Shift mode setting’ because I didn’t see a ‘Synchro shift mode’ or something along these lines. When I tried to access the ‘Shift mode setting’ page I received the error that the firmware of the FD-6870 and RD-6870 where not the latest version. But I don’t have a new battery upgrade or the WU101 installed. So I’m wondering if that is really required for synchro shifting. Otherwise I would have expected a message saying that there parts are missing and required for synchro shifting functionality. Yes you need the new battery for that new firmware when it comes out. My understanding is that the new firmware is for the new battery. Yes, lots of new fw out on Dec 9, “Synchronized shifting for road series” for the 3/5 port junction A’s and the bluetooth enabled battery/holder. I have the new battery + 6870 FD/RD and get the same error about update needed, though everything is up to date in the fw listing. But I don’t see “Synchro shifting” anywhere, not in Windows and not in the iPad app. just installed the new version of e-tube and saw also in the version history the synchronized shifting. Apparently you need for the synchronized shifting to work besides the new battery also one of the new junction boxes RS910/RS911. If you can’t wait you could also use the XTR display SC-MT800 which also includes the new junction box functionality for synchronized shifting. I have SC-MT800 in my di2 setup and I get the same FD/RD firmware error, so it seems I must wait for such firmware update. Has anyone got synchroshift working with Ultegra Di2 yet? I don’t like their use of “probably” at this stage. I recall they talked about Nov 2016 earlier. Sigh. Did you ever get a dfinitive answer on the automatic temperature calibration? Is it part of the functionality of the Powermeter, like Power2Max, or not, like SRM? For all of you who have already upgraded your battery: any updates on syncro shift with Ultegra? Road Synchro requires the new BT-DN110 battery as well as Synchro-capable firmware written to all the other components. The updated EW90 with firmware v 3.0.4 (or newer) controls Road Synchro function provided that the rest of the system has the Synchro-capable firmware too. Last week’s E-Tube Project app version 3.2.0 does not support Road Synchro from 6870 or 9070…The next version release will bring Road Synchro to 6870 / 9070. We’re expecting it shortly after the new year. Shimano needs to get it together as per their own compatibilty chart at link to productinfo.shimano.com (page 38), the EW-WU111 is compatible with the internal battery (BT-DN110) and the Ultegra 6870 RD and FD with latest configurations. In fact, using the PC and the E-Tube Project, everything checks out, latest firmware, can update shifting speed, button settings, set the BLE passcode on the EW-WU111. What to do? Deleted the E-TUBE app off the iPhone (Ver.3.1.0) and go to the App Store and get the E-TUBE app again. Guess what, Ver 3.1.0 is the latest version. So the EW-WU111 works with E-TUBE on the PC going through the wired connection via the charger but doesn’t work with the App via BLE – the one of the two reasons for getting the EW-WU111. Anyone have the EW-WU111 working with Ultegra components and the internal battery (BT-DN110)? Note: PC version of E-TUBE is 3.2.0. That may explain the difference between the PC version working an the iPhone app at Ver.3.1.0 not working. Since my last post I’ve installed the new spec battery and D-fly unit on my Ultegra di2 bike. I haven’t tried it via the iPhone app, but after a slightly rocky start I did manage to connect the iPad version of ETube project and update firmware on all five components. Sadly no option to do synchro shift yet but apparently coming soon ish maybe. M444TTB, when you say D-fly unit, do you know the model number? I also tried via an iPad and received the same error message after pairing with the EW-WU111, selecting Road, answer the two sprint switch questions (No), and straight to the error message. I’m guessing Version 3.2 for the IOS release will be out soon and hopefully fix this issue as everything in the systems is on the compatibility list and at latest firmware. My guess would be complete wrong if you are also using the EW-WU111 model for the D-Fly unit and verson 3.1 of the iOS app. Thanks again. I’ll post if I find the solution. As they say, this should have worked right out of the box. Version 3.2 of the iOS app was released yesterday (Feb-3, 2017) and everything now works for the EW-WU111 with the 6870. I didn’t change anything other than allowing the app to automatically update from 3.1 to 3.2. With app 3.2.0 on an iPad I can now access shift mode and get a message that fw 3.0.0 is needed for FD/RD. Getting closer. The Feb-24 firmware upgrades went fine for both battery and the ew-wu111 – used my phone and BLE to do them both and put 50+ km on the bike to test everything. We have below freezing temps and snow coming down for the next few days but I’ll attempt to get the FD/RD upgraded and test Synchro shifting on the Ultegra side and report back. Got outside for a ride to test synchro-shift with Ultegra 6870 – sweet. So is semi. A hint for those wanting to switch modes while out on a ride, just utilize the A junction box (SM-EW90-A) button to double-click between modes. After double-clicking, the green LED will blink to indicate the current shift mode (1=manual, 2=semi, 3=sync). Also, if you hold a shift button to check your battery status, the LED’s will indicate the battery status and then indicate the shift mode. I rode up only a couple small hills with sync mode and it worked perfectly as I down sifted and then came back up through the gears. If you don’t hear the FD change, you might not know there was a change when spinning about 80-90 RPM. Sync mode appears to have been worth the wait! Be careful with Bluetooth firmware updates. I connected to my eu-wu101 with the iPad etube 3.2.1 app today with the plan to get syncroshift working. Immediately after connecting it told me there was a firmware update for the wireless module and then it failed while doing the update, telling me to try again from the pc. Unfortunately, it seems the firmware update failure has bricked my eu-wu101. I’ve connected it to the latest etube software on the pc with the interface that connects through the charging port on the junction box and the wu101 isn’t recognized at all. I suspect at this point I may be able to resurrect it if I can find a Lbs with the pce1 interface that plugs directly into the etube port, otherwise it may need to be sent back to shimano. This shouldn’t happen in this day and age, in my opinion – there should be better fallback modes to recover. I had exactly the same thing with my new EU-WU111 I got at the weekend, initially paired fine with iPhone app, said there was an upgrade available, it downloaded it and started installing at which point it lost the Bluetooth connection and I couldn’t get it connected again to either the phone or iPad. Eventually more by luck than judgement I ‘fixed’ it by removing the EU-WU111 from the bike, reconnected things how they were and then put it back in (the Di2 equivalent of rebooting it I guess) and then after that I was able to pair to the phone again and it’s all working OK now. Thanks Mark- although nothing could find it last night, after leaving the EU-WU101 unplugged all night, and then plugging it back in (I actually swapped it to my Tri-Bike, having stolen the working one from my Tri-Bike- updating the firmware with the PC/Cable and installing it in the seat tube of the road bike to ride yesterday), and it showed up on Bluetooth with the iPad again. It told me that the firmware may be corrupted and needed to be reloaded. Not wanting to have another bluetooth firmware update error again, I tried at that moment to recognize/update it with the PC-BCR2 cable and my windows laptop, but it still wasn’t showing up in the ETube software. So I threw caution to the wind and did the update with the iPad, and although the first 10% went molasses-slow, it completed before throwing up an error that the PC-BCR2 cable was still connected, and was not compatible with bluetooth. At this point, the bike had no shifting, and despite unplugging and replugging the BCR2 cable from the Junction A, the windows E-Tube app was stuck on “recognizing” when trying to do a connection check. After unplugging the etube cable with the battery from the Junction A, and replugging, the system appeared to have “rebooted”. At this point the iPad app tried to make a connection but told me that my Di2 battery was too low (it was about 20-25%). So back to the BCR2 and windows app. Now, it was identifying all of the connected shifters and devices (including the previously borked EW-WU101!) but not my 6870 rear derailleur. It also showed that my battery, FD, and Junction-A needed a firmware update. Trying to do the firmware update with the BCR2 and Windows App did not go well. Initially it tried to update the Junction-A, and just sat there, with the estimated time remaining going up to >1000 minutes, and finally timed out, telling me I had to connect only the Junction A to the BCR2 and do the update. So I had to unplug all of the Etube wires, and do the update. Then, the same thing happened when trying to update the FD (RD still wasn’t being recognized despite it being plugged in with no changes). Timed out, told me I needed to connect just the FD and Junction A to BCR2. Thankfully, I had an extra 50mm etube wire, so I popped the Junction-A off the stem, and plugged it directly into the FD with the extra 50mm wire, without having to mess with my internal wiring. As I could see how this was going, I did the same with the RD (which was recognized when directly plugged into the junction A with my extra 50mm wire). Then, I left my FD and RD unplugged at the derailleurs, and plugged the Junction A back into the down-tube wire for the battery update. These were successful, and after plugging the FD/RD and shifter wires back in, the PC app was able to recognize all shifters and RD/FD and EU-WU101! Trying to understand the difference between the EW-WU101 and EW-WU111. From what I found from this page – link to productinfo.shimano.com there’s 2 features that are in the 101 that are not in the 111, suspension mode and shift mode, the other difference being physically the 111 looks to be smaller and probably lighter. Anyone have any more detail on what suspension mode and shift mode actually are? Do they just display on your bike computer what mode you’re in? Mark, I have the new EW-WU111 and using it with Ultegra 6870 components. Thus far, using the EW-WU111 with the iPhone or iPAD (e-tube app) lets me do everything I can do with the PC (e-tube) and the SM-BCR2 battery charger connected to the Junction A (SM-EW90). In fact, it allows me to do more as it has the ability to run Error check via bluetooth; previously, I could only do this via the PC (e-tube) and the SM-PCE1 PC Interface Device plugged into an open port on the shifters or a junction box. As Patrick points out above (Feb-7 graphic), it looks like synchro shift is coming to Ultegra 6870 and Dura Ace 9xxx with a pending or minimum firmware update. Just make sure you have one of the newer batteries. Mark, missed some of your question – my apologies. Though I was surprised the new unit allows for error checking. Looks like Shimano has updated the EW-WU111. Both units now have the same capabilities! Great find for the info btw. Yeah saw that. So looks like the difference as I see it is the WU111 is meant for internal installation probably in the seat post along with the battery or the WU101 is for external installation. Just ordered the internal model to fit inside my seat post with the new version of the battery now I know I won’t be missing out on any functionality if I went with the 101 version. Are you sure the WU111 can be installed inside the bike frame? I thought I saw a graphic in the instruction manual that said it must be installed externally. Any insight is appreciated. Well, I assumed it was designed to be installed internally as opposed to the 101 which looks to be designed to be installed externally. However having got the product at the weekend, as you say the manual shows it installed externally up near the junction A box under the stem. I’ve installed it there just for now to get it setup and working but will try moving it to in the seat post in line with the battery. I see no reason why you can’t install it there, far less likely to get damaged in any crash, will be kept drier and I don’t see any other reasons why you wouldn’t install it internally. Will report back once I’ve done it, probably this weekend. I have the WU111 installed internally inside my carbon frame. Of course it is not meant for it, but I have no issues with it. I had the previous non-BT version installed internally on two bikes before the WU111. No problems what so ever. Might be different for a Alu-bike, I don’t know. Good luck! Koopen, with the 111 installed in the seat post can your head unit see the transmitted data while riding? I have a battery in the seat post on my 2016 Specialized Roubaix Comp Di2, but I think I would need to upgrade the battery. Very confusing. If I just want normal shifting and to view the transmitted data do you know if I need the battery upgrade? I have the wu101 in seat post position on a carbon road and Tri bike, picking up shifting on a Garmin edge 810 mounted at the handlebars. When first pairing though, you may have to put the Garmin within centimeters and click “search” multiple times while shifting before you get it. If you just want gearing on the Garmin, you can use the old battery and wireless unit. If the new wireless unit is plugged in with an old battery, nothing works. So with new battery, you need new wireless unit. I appreciate your help add this is a very confusing topic based on the little information on line. Sorry for not being clear. If you use the new wireless unit plugged into an old battery, you will have no shifting, you will not be able to charge the battery, and you will get error messages in the eTube software about a component compatibility problem. You will not be able to use the system in any capacity. If you try to do this inadvertently while upgrading your bike (as I did, accidentally not switching out to the new battery), you will waste an hour or more of your time individually replacing individual etube cables between components looking trying to find out why particular combinations of wires plugged in work and others don’t work, using the power of elimination to realize that the new wireless device is not compatible with the old battery. Thanks for this info. Although I have both new battery and wireless unit because I wanted Synchro, and everything works, it seems really sneaky of Shimano to do this. 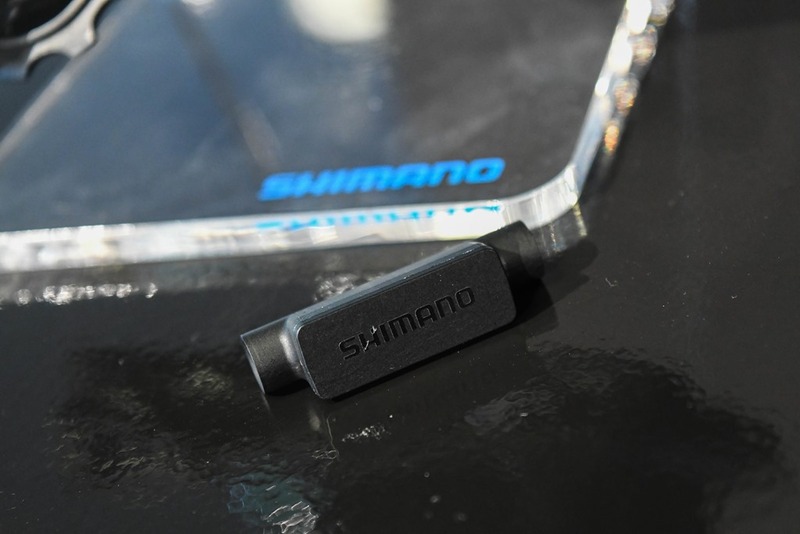 Earlier information from Shimano was that you only needed the battery if you wanted synchro shift and that if all you wantd was bluetooth ipad/phone compatibility you did not need the new battery. Somewhere along the line this changed and I missed it. Were users warned? Synchro shift now available for Ultegra Di2 and Dura Ace 90xx Di2! Yes, 3.0.0 for FD/RD-6870/9070. Does synchro work well? Can’t try it myself before tonight. I can’t get it to work. Connects to the bike fine. You set it up and it says you’re overwriting the settings. Then close the app and turn the crank and it still just shifts through the full cassette without changing the front chain ring. Use your Front A Junction box to switch between the modes. The junction box is the one that you use to charge your system. The button on the bottom switches the modes. Double-click it and it will cycle through the modes. Assuming you left everything at default, 1 blink of both lights is Mode 1, 2 blinks, mode 2, and 3 blinks and back to manual mode. You can also use your newer model Garmin Edge’s to change shift mode. With the latest firmware, my Edge 1000 does this. As well, it beeps when you change modes, beeps when the synchro shift is about to move the front derailleur, displays a message at the top of the screen and blinks the graphical gear display. Correction. On mine, 1 blink is manual mode, 2 blink is semi-synchro and 3 blinks is full synchro. Patrick, gave sync-shift mode a go today on my 6870 setup – yea, sweet. Works great. Also like being able to double-click the button on the junction A box to cycle through the shift modes. Agree with Peter on the junction A LED indicator… After double-clicking, the green LED will blink to indicate the current shift mode (1=manual, 2=semi, 3=sync). Also, if you hold a shift button to check your battery status, the LED’s will indicate the battery status and then indicate the shift mode. I can´t install iPhone version 3.2.1 I get this app is not available for my store(geographical restriction) any one having this issue? I had to use my pc to configure synchro shift. I’d like to buy the new handlebar that will take the EW-RS910 junction A? Were can I find a ref #? Anyone can point me to a vendor? I believe that the Vibe handlebars from Pro (part of Shimano) will take the junction box. I also saw a few bikes at a bike show with ENVE bars that had the junction box in line. Anybody has experience with the the BT-DN110 battery life when used in conjunction with the EW-WU111 (new wireless unit) ? I tried the wireless communication with the previous generation (Di2 9070) and it was draining the battery very fast … to such an extend that I didn’t dare to go out without recharging the battery just to be sure… at that time I decided to remove the wireless unit from my bike. Yesterday I upgraded the bike to the new di2 9150 including the BT-DN110 and gave a new attempt at wireless with the EW-WU111… I did not try the bike on road yet but yesterday the battery was charged at 100% and today I see that it is already reporting 90% of charge with only a few gear shift with the bike on the repair stand !!! I’ve got the new battery and the EW-WU111. After installing it about 5 weeks ago and giving the battery a full charge then, I’m currently sitting at 70% charge on my battery. In that time I’ve done about 19 hours riding in total. Your first attempt at using it with the previous generation Di2 assuming that included the previous generation battery I’m surprised if it worked at all as you’re supposed to need the new battery to work with the new wireless units. Note I’m using mine with Ultergra Di2 not Dura Ace but shouldn’t make any difference. Did you maybe leave the bike connected to your phone/iPad via Bluetooth hence the battery drain? The test I did with the old 9070 Di2 was of course with the old wireless unit (not the EW-WU111)… not sure what happened then ! As I crashed 3 weeks ago I needed new shifters, so I took the plunge and replaced the whole kit with the new 9150 (except the crank as I am using a Rotor 2inpower). Everything is installed and working fine at the moment (including the EW-WU111). On Thursday I am flying to Mallorca for 8 days cycling, it will be a good test for battery life, I’ll report when I am back. Interesting – I’m flying to Mallorca for 8 days cycling tomorrow (Wednesday) – also with the 9150 (including the EW-WU111) except Rotor 3D+ crank. Let’s see what the batteries do. Cool 🙂 We’ll have some data to share then ! So does anyone know when the Dura-Ace powermeter will be available?? Nobody really knows. But my bet is late summer from what I’m gathering. Probikekit.com is accepting preorders with an August 2017 delivery date. 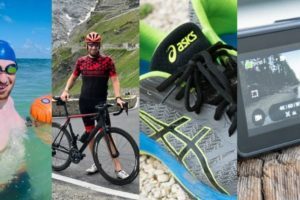 Some feedback as promised, I am back from one week in Mallorca, I did 640 km with heartrate, speed, power/cadence sensors and di2 wireless unit. I can now confirm that there was no issue with the new Di2 battery. It is still charged at 70% now ! Perfect. After my week in Mallorca with HR, Power/cadence/ Di2 wireless I had zero problems. Everything ran perfectly. 60% battery on return. 345.6 miles, 556 kilometres ridden and a lot of climbing. More than happy. And do we know why the delay: supply issues/quality control or something else? My bet is accuracy. It’s why almost all power meters are delayed. The lack of teams running full kits generally confirms that. Last I checked, only a handful of riders were running it, and almost always only one or two per pro team. Usually if it’s a parts availability issue, they’ll outfit the whole team, and leave consumers wanting. Whereas if it’s a quality issue, they’ll just put a rider or two that doesn’t much care about the data on it (or is super-data focused and can point out issues). Great, thanks for your thoughts. Small problem, with the DA9150 fully installed and working, I can’t get my rear deraileur to shift to my smallest two cogs when in the small chainring at the front, when in Manual mode ofcourse. I know its a cross chain protection thing but I regularly take off my rear wheel for my Neo and it would be handy in order to make the whole process smoother. Does anyome have any idea how to disable this annoying feature? Run E-Tube and “say” to the system you have a 53-39 cranket, then check the box “Do not set” in Selected gear control field. Now you can go to 34-11 too. Have you been able to get your hands on the power meter yet? Not yet. But, as of late last week when I e-mailed with them they confirmed they’re still on track to get me a final unit this month! Ah good was going to ask about that. It seems my LBS has one in stock but literally only one. Think will wait for some actual usage reviews of which there seem to be none at this time. any update on the Shimano PM? Have you got one for review yet? Nothing yet. But your e-mail reminded me to send them a reminder note. So I sent that a few hours ago. Will report back when I hear back. Are you still waiting on the Shimano PM? I have seen some feedback on the unit but I won’t be satisfied until I see the definitive DCRainmaker review of it. I received it last week. Though, Stages beat it by a day with the LR. So not quite sure on the order of operations there. 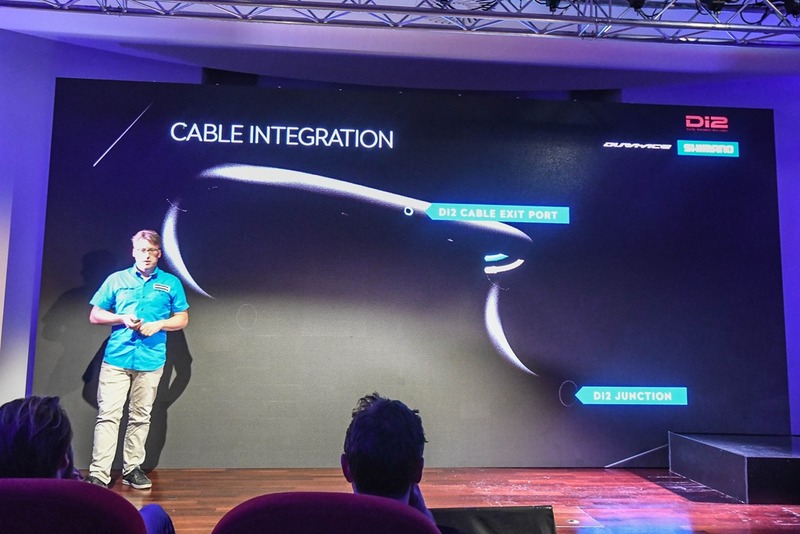 I would think that the Shimano should get the nod over the Stages since it is a new product and not an update of an old one… and I don’t care too much about the Stages! Cheers Ray. I look forward to reading your take on the Shimano. It may be worth noting that if making the upgrade from an older DI2 Duraace crankset or Ultegra DI2 you may require the new R8050 Derailleur too. I believe the chainrings are slightly different on the the new R9100 cranks. That going to be another $300 in Australia for people wanting to make the change. Just got mine. Rock solid and fast pickup. Typical bullet proof Shimano. is the bluetooth unit (EW-WU111) typically sold separately? I’ve been looking at the Ultegra R8050 groupsets and they don’t seem to include it. I would have thought it would be included with a full groupset. Any hints about the timing of the review? I had a quick look at pricing in some European online stores. It appears that the Shimano Dura-Ace dual offering is cheaper that both Stages and 4iiii (Dura-Ace)!!! Actually, would love to see the reviews of Stages and 4iiii dual as well. I stand corrected re pricing. Shimano cranks are sold without chainrings, hence the lower price. Stages LR review coming up next week I suspect (just waiting for a second final-final unit to arrive to double-check some stuff on). Then the Shimano unit goes on. So I should have some initial test data in about 7-10 days. Hey when will you be releasing the Dura-ace full review? Anxiously awaiting the details to guide my purchase :-). Does Shimano ever have specials on the Di2 components. Would love to get one on sale if possible. Not a big fan of buying used electronics from eBay to save a buck either. BTW…You rock!